Fans of hotel dining and buffets drool over this one. This app offers daily hotel dining deals with plenty of discounts. No coupons. Just a way to get hungry eaters into a buffet restaurant and not waste its food at the end of the day. Available on iTunes and Google Play. Pros: Sometimes last-minute deals are up to 80 percent off. And there's even the occasional free offer. Nothing beats free. Cons: We find the initial login and account creation process cumbersome. It basically asks for a pound of flesh in your details before you get a whiff of any deals. They've got to sort this out. This app endeavours to present all the menus from Hong Kong's restaurants at your fingertips. You can rate dishes and see if your friends on Facebook have recommended anything on these menus too. Available on iTunes and Google Play. Pros: This isn't just a listing resource. This app allows you to judge whether or not to go to a restaurant by scanning the whole menu. Also, ordering takeaway becomes a breeze. Eating out should be easy and Foodgulu tries to make it so. This app aims to eliminate queues by synchronising restaurant ticketing systems on your phone or tablet, so you hold your table at the touch of a button. Also, you can make reservations and order takeout with this app too. Available on iTunes and Google Play. Pros: Generally, we love the concept and look of Foodgulu. Cons: The majority of the restaurants don't offer all the functions, particularly when it comes to the ticketing systems. Instagram's foodie little sister. Us Hongkongers just love taking photos of our grub, so Instafood is an essential app. 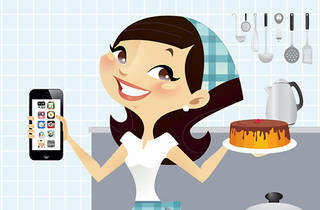 Upload your pics and browse through other people's dishes too. Let the world know what, where and when you're eating and spice up your photos using special 'skins'. Available on iTunes and Google Play. Pros: What isn't to love about food photos? Plus, the photo edit function is fun. Cons: Hardly any of the skins are available on the free version. And there's a few too many ads for our liking. Dining discounts galore. Time-Eat features last minute deals that you can buy and there are some deals you can use right away – kind of like a fast action Groupon for restaurants. Some of the discounts are, as the app claims, 'mega'. Available on iTunes and Google Play. Pros: The location-based service allows even faster searches for deals in your neighbourhood. Perfect for those impromptu gatherings with friends. Cons: Even though the app has an English setting, the details of the deals are in Chinese only. Not useful at all for hordes of diners in the city. This is one for the ultimate foodies out there. In addition to offering a restaurant search engine, this baby also allows you to hunt out recipes and create your own dishes to share with others. You can use this app anywhere in the world, making this the ultimate dining companion. Available on iTunes and Google Play. Pros: The slick pics and user-friendly nature of this app are right up our alley. Cons: The only aspect that lets the side down is the lack of detailed info about the restaurants. Offering an offline restaurant search engine, GPS FoodEasy aims to help you find your ideal restaurant wherever you are and whether you're in wifi range or not. Available on iTunes only. Pros: The interface is simple, which allows the user to easily search by category or keyword. Cons: The no frills approach also makes this app a little lacklustre. It could do with some pizzazz. And sometimes the keyword search leaves us empty-handed. Not what we want on an empty belly. 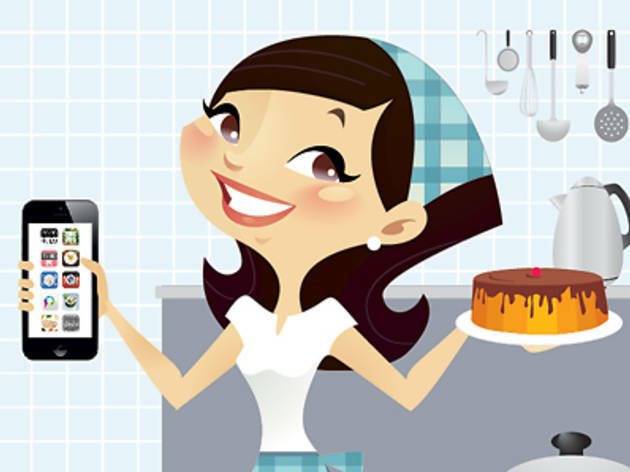 Share your dining experiences with your friends and family when you use this foodie social networking app. In addition to a smart restaurant search engine and an array of high quality reviews, there's also the bonus feature of being able to invite friends to events at your favourite restaurants. Available on iTunes and Google Play. Pros: Easy-to-use interface. We love that we can share our food journeys. For all you veggies out there, this app is a godsend! By using your location settings, you can find the closest organic food stores, vegetable vendors and vegetarian restaurants, or, at least, eateries that offer vegetarian menus. It's entirely in Chinese, though. Available on iTunes and Google Play. Pros: The app is simple and easy to use. A no-brainer for veggies and those who just love their greens. Cons: Why is it only in Chinese? We really hope it caters for English speakers too pretty soon as it will surely double its market.